Wits University has topped the University of Cape Town (UCT) for the second year in a row in the Academic Ranking of World Universities (ARWU), also known as the Shanghai rankings. Wits is ranked at 230 in this year’s ARWU overall 300 university ranking category, which was released on August 15. This makes it the highest ranking university in Africa. This year Wits scored 17.11, while UCT scored 15.33. The highest-scoring institution (Harvard University) was given a score of 100, and other institutions’ scores are calculated as a percentage of the top score. Last year Wits’ scored 17.53, beating UCT, which scored 16.82, for the first time in the ARWU rankings. Professor Zeblon Vilakazi, deputy vice-chancellor of research and postgraduate affairs at Wits, said that Wits has maintained its number one position in Africa because of the research output which has “increased substantially” in the last few years. “This achievement is a culmination of work done over many years by our researchers. We are truly appreciative of this recognition, and we are particularly appreciative of our researchers, scientists, students and alumni to whom these accolades really belong,” he told Wits News. BA Honors in international relations student, Candice Chirwa, said: “I think we underestimate the quality of Wits, it really is a great academic institution that advocates for African intellectuals to excel,” she said. Even though Wits maintained its number-one ranking in Africa this year, the university dropped 27 places in the overall global rankings. It was ranked 203 last year. 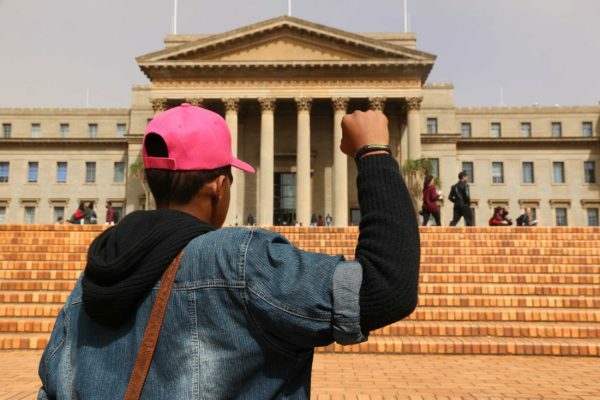 Vilakazi said that this may be due to the fact that other international universities are “well-resourced and receive substantial funding and support from their governments, thus enabling their rise and dominance”. “Universities in South Africa operate under different financial conditions and constraints,” he said. According to ARWU, universities are ranked by several indicators of academic or research performance. These include alumni and staff winning Nobel Prizes and Fields Medals, highly cited researchers, papers published in Nature and Science journals, papers indexed in major citation indices, and the per capita academic performance of an institution. “We believe that rankings should be used as the means to an end but not the end itself,” Dr Xuejan Snow Wang, the ranking manager of the Shanghai Ranking, told Wits Vuvuzela. Three other South African universities made it to the top 500 this year – Stellenbosch University, the University of Johannesburg and the University of KwaZulu-Natal.